At the council meeting this afternoon, 6 June. KNYSNA NEWSFLASH - The conclusion of a tumultuous and chaotic special council meeting at the Knysna Council chambers this evening has ended with an approved 2018/2019 budget, but also with the ousting of now ex-mayor, Eleanore Bouw-Spies. Mark Willemse from the DA was unanimously voted in as the new executive mayor of Knysna, with COPE member Ricky van Aswegen as his deputy. 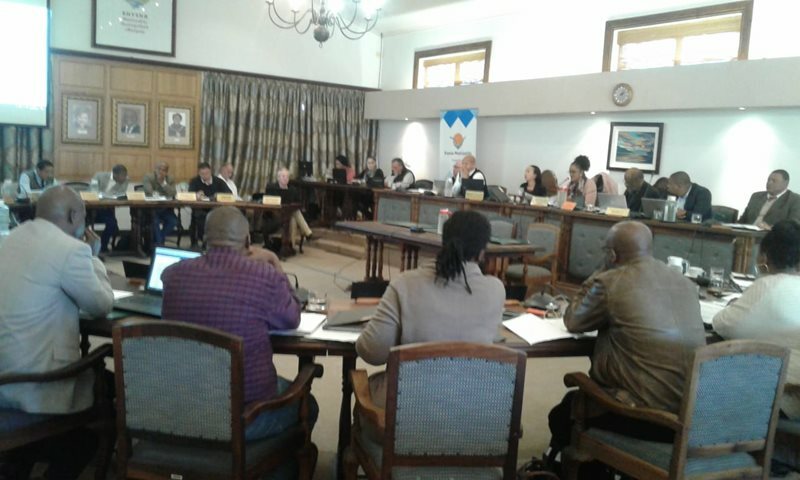 Bouw-Spies and the rest of the DA, excluding Willemse and former deputy mayor Peter Myers, walked out of the meeting right before a motion of no confidence was set to serve in council, brought on by the ANC. The vote was 11 to 1 against Bouw-Spies as Speaker Georlene Wolmarans was the only official to vote against the motion. Afterwards she recused herself from voting in a new mayor. The election of the new mayor and deputy was watched over by acting speaker Victor Malosi of the ANC.